To test the hypothesis that RBC transfusion in critically ill children is independently associated with increased mortality and morbidity. Retrospective, descriptive epidemiologic cohort study. Single-center experience of a nine-bed pediatric intensive care unit (PICU) facility. Critically ill children without ongoing active blood loss aged 0 months to 18 years, excluding prematurely born infants or patients after cardiothoracic surgery, and patients with chronic anemia. Data of 295 consecutive patients was studied. Of these patients, 13.4% had a Hb concentration less than 9.6 g/dl. Sixty-seven (22.7%) of all patients were transfused, 39 only once. Transfused patients had a higher mortality (16.4 vs. 2.6%, p < 0.001). Mortality seemed related to the number of transfusion (p = 0.002) rather than the pre-transfusion Hb concentration (p = 0.10). Transfused patients required prolonged ventilatory support (11.1 ± 1.8 vs. 3.2 ± 0.3 days, p < 0.001), infusion of vaso-active agents (8.2 ± 1.8 vs. 2.8 ± 0.6 days, p < 0.001) and PICU stay (13.0 ± 1.8 vs. 3.2 ± 0.2 days, p < 0.001). After multivariate analysis adjusting for age, PIM probability of death, mean TISS-28 score during the first 48 h, post-operative admission, diagnosis of sepsis or trauma or malignancy, pre-transfusion Hb concentration, and RBC transfusion remained independently associated with mortality and morbidity. RBC transfusion in critically ill children is independently associated with increased mortality and prolonged duration of mechanical ventilation, prolonged infusion of vaso-active agents and prolonged PICU stay. The practice of red blood cell (RBC) transfusion in critically ill children is common [1, 2, 3]. From a retrospective survey among five pediatric intensive care units (PICU) in the United States it was found that 54.5% of all children with a pre-transfusion hemoglobin (Hb) concentration below 9 g/dl received one or more RBC transfusions . Nevertheless, a well-defined threshold value of hemoglobin (Hb) used for the decision as to when to transfuse or not is unavailable . 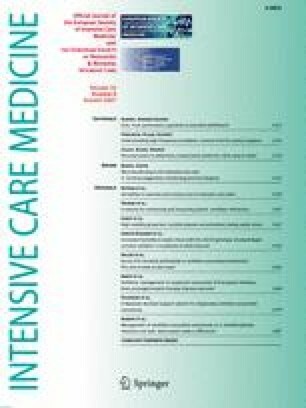 An increasing number of prospective and retrospective (observational) studies in a heterogeneous group of critically ill adults show that RBC transfusions are independently associated with increased morbidity and mortality, irrespective of disease severity defined by admitting APACHE II and SOFA scores [6, 7, 8, 9, 10, 11, 12, 13, 14, 15, 16]. It is unknown whether this is also true for critically ill children. The objective of our observational study therefore was to test the hypothesis that RBC transfusion in a heterogeneous group of critically ill children admitted to a medico-surgical pediatric ICU (PICU) is independently associated with increased mortality and morbidity, irrespective of pre-transfusion Hb and disease severity. The study was designed as a retrospective, single-center observational study. The need for informed consent was waived by the institutional review board. Records from all children aged 0 months to 18 years admitted to the PICU of our hospital were obtained, irrespective of pre-transfusion Hb concentration. We chose to study patients admitted between January and December 2003, because as of January 2002 all RBC concentrates were leukocyte-depleted in The Netherlands. Anemia was defined by a Hb concentration below 9.6 g/dl as described previously [1, 17]. Children diagnosed with chronic anemia (defined by the presence of anemia for more than 6 weeks), children with hemoglobinopathies, and children with active blood loss were excluded. Our PICU is a combined medical and surgical tertiary nine-bed facility that includes all specialties except the care for prematurely born infants (these patients are admitted to the neonatal intensive care unit of our hospital) and patients after cardiothoracic surgery. For each patient demographical and clinical data, including type of admission, primary diagnostic category, history of anemia and recent acute blood loss, pre-transfusion hemoglobin (Hb) concentration or first Hb concentration for non-tranfused patients, number of erythrocyte transfusions, and volume transfused, was noted. Our unit did not have a transfusion guideline. The decision to transfuse a patient was made by the attending physician. Routinely, the quantity per erythrocyte transfusion amounts to 10–15 ml/kg. Disease severity upon PICU admission was defined by the Pediatric Index of Mortality (PIM) probability of death. The PIM score is composed of variables that are noted during the first hour of PICU admission. For this study the PIM score was retrospectively calculated. Data on all variables necessary for this score were available in all patients. This score reflects the severity of disease and have been validated . Additionally, the TISS-28 score was calculated for the first 2 days of PICU admission. TISS-28 is a scoring system composed of 28 therapeutic activities that can be used to assess severity of illness . The TISS-28 score is prospectively calculated on a daily basis in our unit. The PICU mortality was the primary outcome. Morbidity as secondary outcome was defined by duration of mechanical ventilation (MV), duration of infusion of vaso-active agents including dopamine, dobutamine, and norepinephrine, and duration of PICU stay. In the univariate analysis demographical and clinical data were compared between patients who were transfused and those who were not. For continuous variables the Mann-Whitney U-test was used, and for categorical variables the χ2 test or Fisher's exact test. Missing variables were not imputed. Subsequently, we wanted to the estimate the independent contribution of RBC transfusion to each outcome parameter. We therefore applied multiple logistic regression analysis for the primary outcome (mortality, which is dichotomous data), and Cox proportional hazards regression analysis for the secondary outcome measures (duration of infusion of vaso-active agents, mechanical ventilation and PICU stay, which are continuous data). Regression analysis estimates how confounders are related to the outcome and produces an adjusted estimate of the intervention effect . To adjust for disease severity upon PICU admission, we adjusted for PIM probability of death. To adjust for confounding by indication, we adjusted for the mean TISS-28 score during the first 48 h after PICU admission. Finally, we also adjusted for pre-transfusion Hb concentration, admission post-operatively, and admission diagnosis. Each potential confounding variable was separately entered into the model. To study if RBC transfusion would lead to an excess in mortality, we also calculated the Standardized Mortality Ratio (SMR) for five probability of death strata calculated from the PIM score. The SMR is calculated by dividing the observed number of deaths by the expected number of deaths per strata. The expected number of deaths was obtained from the Dutch Working Group on Pediatric Intensive Care Evaluation (PICE). All statistical analyses were performed with SPSS version 13 (Chicago, Ill.). The p-values below 0.05 were accepted as statistically significant. Data are expressed as mean ± standard error unless otherwise stated. During the study period a total number of 295 consecutive patients were admitted. No patients met the exclusion criteria. In addition, there were no patients with ongoing active blood loss as cause of anemia. One hundred sixteen patients (39.3%) were admitted after a surgical procedure. Mechanical ventilation was required in 123 patients (41.7%). Forty-two (14.2%) patients required continuous infusion of vaso-active agents. Data on pre-transfusion Hb or first Hb upon PICU admission could be retrieved in 261 (88.5%) patients. Anemia occurred in 13.8% of all patients. Severe anemia (Hb < 7 g/dl) occurred in 7 (2.7%) of all patients. Sixty-seven (22.7%) patients were transfused; 39 (58.2%) were transfused only once. Seventeen patients (5.8%) died. Table 1 summarizes the differences in demographical and clinical variables between patients who received one or more RBC transfusions and those who were not transfused. Gender distribution and mean age were not different between the two groups. We noted a significantly higher mean PIM probability of death among transfused patients, indicating that they were more severely ill. We also found a significantly higher mean TISS-28 score during the first 48 h of PICU admission. Table 2 summarizes the difference between patients with and without RBC transfusion on primary and secondary outcome measures. Among patients who had received one or more RBC transfusions a higher mortality rate (16.4 vs. 2.6%, p < 0.001) was observed. Importantly, we observed no association between the pre-transfusion Hb concentration and mortality (p = 0.10) as can be seen from Fig. 1. Mortality rates were equally distributed among patients with a Hb < 9 g/dl or ≥ 9 g/dl [2 of 36 (5.6%) vs. 14 of 225 (6.2%), p = NS)]. This was also noted for patients with a Hb < 7 g/dl or ≥ 7 g/dl [1 of 7 (14.3%) vs. 15 of 254 (5.9%), p = NS]; however, we did observe a dose-outcome association between the number of RBC transfusions and mortality (p = 0.002), which is depicted in Fig. 2. Additionally, transfused patients required prolonged ventilatory support (11.1 ± 1.8 vs. 3.2 ± 0.3 days, p < 0.001), and prolonged infusion of vaso-active agents (8.2 ± 1.8 vs. 2.8 ± 0.6 days, p < 0.01). Finally, a prolonged PICU stay (13.0 ± 1.8 vs. 3.2 ± 0.2 days, p < 0.001) among transfused patients was found. Fig. 3 shows the SMR among transfused and non-transfused children for the PIM probability of death. We observed an excess mortality among transfused children, especially when they had a very low to moderate probability of death. Similar observations were made among children with a high probability of death, but the numbers of patients was limited in these strata. In additional analyses—one excluding patients admitted after a surgical procedure, one excluding patients with a PICU stay less than 2 days were excluded, and one excluding patients with a high-risk diagnosis (sepsis or malignancy)—we also noted significant differences in mortality, duration of MV, duration of vaso-active support, and PICU stay between transfused and non-transfused patients (Table 2). Also, when excluding children older than 12 months similar observations between RBC transfusion and increased morbidity were made. Tables 3–6 summarize the results from the adjusted multivariate logistic regression analysis on the primary outcome measure, and Cox regression analysis on the association between RBC transfusion and the secondary outcome measures. Adjustments were made for PIM probability of death, mean TISS-28 score during the first 48 h of PICU admission, post-operative admission, presence of sepsis and/or malignancy, and pre-transfusion Hb concentration. From the multivariate logistic regression analysis it was found that RBC transfusion was the strongest variable associated with mortality rather than disease severity reflected by the PIM probability of death, mean TISS-28, or the pre-transfusion Hb concentration (Table 3). After adjusting for possible confounding by PIM probability of death and mean TISS-28 score during the first 48 h of PICU admission, post-operative admission, and pre-transfusion Hb concentration, it was found that RBC transfusion was independently associated with a prolonged duration of vaso-active support (Table 3), mechanical ventilation (Table 4), and PICU stay (Table 5). In this observational study we have found that RBC transfusion in a heterogeneous group of critically ill children was independently associated with increased mortality and morbidity. Furthermore, we observed a higher mortality rate in patients with multiple transfusions but could not find a difference in mortality and pre-transfusion Hb concentration. Excess mortality was found among transfused patients, especially when they were less severely ill as defined by a low PIM probability of death. Similar observations were found when patients admitted after a surgical procedure or patients with a PICU stay less than 2 days were excluded from analysis. The strength of our study is that with a relatively small number of patients such a strong association was found. Although there are numerous data for adults on this subject, to our knowledge, we are the first to report an association between RBC transfusion and mortality in critically ill children. The findings of this study are in agreement with the observations by Goodman et al. . In this retrospective cohort study of five PICUs, patients with a pre-transfusion Hb concentration less than 9 g/dl admitted between 1996 and 1999 were studied. They found an increased duration of mechanical ventilation, duration of infusion of vaso-active agents, and prolonged PICU stay among transfused children. Although in their study mortality rates were higher in the transfused group (6.9 vs. 0.9%), the number of deaths were too low (9 in the transfused group and only 1 in the non-transfused group) to study mortality in a multivariate analysis. However, our study was methodologically different compared with the study by Goodman et al. . Because patients with a pre-transfusion Hb greater than 9 g/dl are also (often) transfused, we included all patients irrespective of the pre-transfusion Hb value [3, 17]. With this inclusion method we not only support the observations by Goodman et al. but also observed an even stronger association, adding more strength to our study. Our observations are also in agreement with those made in a heterogeneous group of critically ill adults [6, 7, 8, 9, 10, 11, 12, 13, 14, 15, 16]. 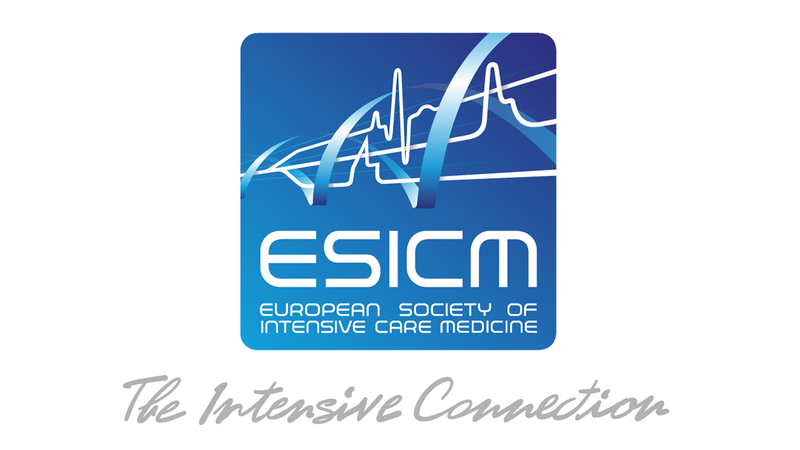 In a large prospective observational study among 1136 critically ill adults admitted to 145 western European ICUs it was found in multivariate analysis that mortality was independently associated with erythrocyte transfusions, irrespective of admitting SOFA or APACHE II score . These observations followed up on the results of a multicenter, randomized controlled trial including 838 critically ill patients with a Hb less than 9 g/dl, investigating the effect of a restrictive transfusion strategy (transfusion if the Hb dropped below 7 g/dl) compared with a liberal transfusion strategy (transfusion if the Hb dropped below 10 g/dl) . Overall mortality and length of ICU stay were comparable between the two treatment arms, indicating that it was safe to apply a restrictive transfusion strategy. Additional analysis demonstrated that in patients with an APACHE II score less than 20 or patients younger than 55 years mortality was significantly increased among those randomized to the liberal transfusion strategy. In contrast to the above-mentioned studies, Vincent and co-workers were unable to detect an independent association between RBC transfusion and increased mortality in 3147 critically ill adults enrolled in the SOAP study . This disagreement in findings cannot be easily explained. Although we have found a strong association, it is more difficult to ascertain a causative relationship with respect to pathophysiological mechanisms. It is suggested that RBC transfusions are associated with immunosuppressive effects and the development of multiple system organ failure [12, 21, 22]. It is assumed that leukocytes present in donor blood are responsible for this immunomodulation. Studies performed in critically ill or injured patients showing increased morbidity and mortality mainly used leukocyte-non-depleted standard or buffy-coat RBC preparations [7, 12, 14, 21]. It therefore seems reasonable to advocate the use of leukocyte-depleted preparations, although the effect of these preparations on patient outcome is not free from scientific debate [21, 23]. Interestingly, despite the fact that patients in our study were transfused with leukocyte-depleted RBCs, we still found increased mortality and morbidity independently associated with erythrocyte transfusion. Additionally, we have observed a dose-outcome relationship between the number of RBC transfusions and mortality (Fig. 2) instead of a relationship between pre-transfusion Hb concentration and mortality (Fig. 1). Such a relationship has also been found to be an independent predictor for post-operative infections, suggesting a dose-relationship between erythrocyte transfusion and increased morbidity . Our data suggest that the presence of anemia itself has no effect on mortality, although the lack of difference in mortality for patients with a low Hb might be influenced by the fact these patients are probably more easily transfused. This observation is in contrast to findings by Corwin et al. . They observed that anemia was an independent predictor for mortality among 4892 critically ill adults enrolled in a multi-center observational cohort study. This difference is most likely differences in methodology. We have used the first Hb concentration when patients were not transfused rather than using the nadir Hb for analysis. Additionally, but more speculatively, children might adapt more easily to anemia than adults. Treatment of anemia is the main rationale for transfusing critically ill children. It is often thought that systemic oxygen consumption will be improved in critically ill children when they are transfused; however, this concept has never been proven . In our study we found that 13.4% of the patients had a Hb below 9.7 g/dl. Also, our transfusion rate is in accordance with previously reported numbers by others . Based upon this study we advocate further investigations aimed at defining a suitable and safe threshold value for Hb used in the decision as to when to transfuse a critically ill child, stratifying for age, disease severity, and co-morbidities. At present, such studies are unavailable but eagerly awaited . From two surveys among pediatric intensivists comprising four scenarios from daily clinical practice, it became clear that there is a striking variation in Hb threshold to transfuse patients, especially among children after cardiac surgery or children with sepsis [2, 17]. This was confirmed by a prospective, descriptive single-center study demonstrating that cardiac disease, severe critical illness defined by admission PRISM score > 10, and multiple organ dysfunction syndrome (MODS) were independent determinants for the decision to transfuse critically ill children . Some limitations of our study must also be mentioned. Firstly, its retrospective character could have influenced the availability of the data collected. Nonetheless, data on both primary and secondary outcomes could be retrieved for all included patients. Also, because of its retrospective character, the decision to transfuse was at the discretion of the attending physician. The decision to transfuse is often made on a subjective basis when no transfusion policy is available. Subjective criteria often include being on a ventilator or on vaso-active support. This leads to confounding by indication (i. e., severely ill patients or patients with a low Hb are more easily transfused), a matter that can ultimately only be resolved by a randomization, although regression analysis also minimizes confounding in cohort studies . However, in order to minimize the effect of confounding by indication, we have adjusted our observations for the mean TISS-28 score during the first 48 h of admission. TISS-28 accounts for therapeutic and monitoring interventions, and correlates with nursing manpower. By doing so, we have attempted to substitute the subjective decision to transfuse a patient with the TISS-28 because it comprises parameters that are also often used by the attending physician in the decision making. Secondly, our study reflects a single-center experience. This may limit the generalizability of our study, although our PICU is most likely comparable to other European and North American PICUs. Additionally, our patient group is a heterogeneous group of critically ill children, although this is not different from many adult studies [6, 7, 14, 16]. Furthermore, because of the relatively small number of patients, no stratification could be made to study the effect RBC transfusions in a specific kind of illness such as sepsis. Thirdly, we did not incorporate data on organ dysfunction upon PICU admission as a variable itself in the multivariate model. We feel that the presence of organ dysfunction noted only upon PICU admission, instead of daily assessment, may be less predictive for outcome of the patient. Fourthly, in addition to a full multivariate logistic regression analysis, we also performed bivariate logistic regression analysis because the number of outcome events per independent variable (EPV) might be too low, resulting in a unreliable model . Importantly, as with any multivariate analysis, causality between an event and the outcome cannot be fully determined, as there might very well be a confounder that is associated with the outcome that has not been detected by, for instance, the PIM probability of death or mean TISS-28. Finally, RBC transfusions prior to PICU admission but related to the current condition of the patient, for instance, transfusions in the operating room, were not included in the analysis; however, in an attempt to eliminate this possible confounding, we performed an additional analysis excluding patients who were admitted after a surgical procedure. From this analysis we observed similar independent associations between RBC transfusion and mortality and morbidity. In this retrospective single-center cohort study RBC transfusion was independently associated with increased mortality and prolonged duration of mechanical ventilation, infusion of vaso-active agents, and PICU stay. Higher mortality rates were found among patients with multiple transfusions. Our observations, although they should by confirmed by others, warrants the identification of a suitable and safe threshold value for hemoglobin to determine when to transfuse critically ill children. The authors thank Prof. Dr. A.B.J. Groeneveld for his careful review of the manuscript.